George Zimmerman — the most hated man in America right now — is behind bars at a Florida prison after being officially charged with 2nd degree murder for the shooting death of 17-year-old Trayvon Martin. 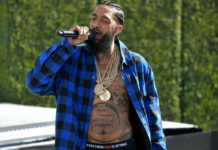 Zimmerman was performing his duties as a “neighborhood watchman” on the night of Sunday, February 26th when he spotted Martin, who was making his way back to his father’s house after making a quick purchase at a nearby convenience store. 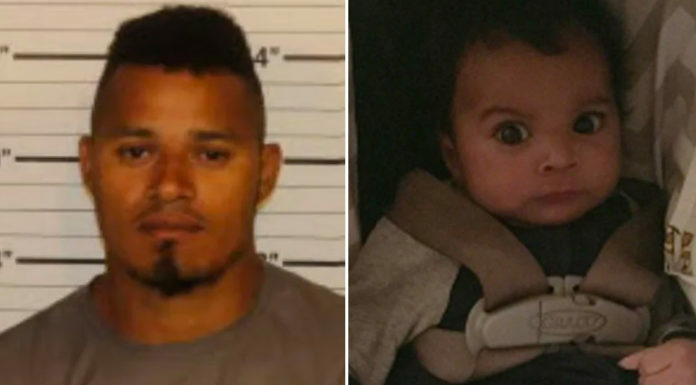 Zimmerman called 911, telling dispatchers that he thought the boy looked “suspicious,” citing recent break-ins in the area, which was an upscale, suburban gated community. Even though dispatchers asked Zimmerman to not follow the young man, he did so anyway, and the two got into a scuffle, which resulted in Zimmerman pulling out a handgun and shooting Martin in the chest, killing him almost instantly. George Zimmerman told police that Trayvon Martin — who was unarmed — had attacked him from behind as he was walking back to his truck, and he only shot him in self defense. But a video taken about 40 minutes after the shooting as Zimmerman arrived at the Sanford, Florida police station after the shooting incident showed him walking unassisted without any difficulty. There also weren’t any visible injuries or blood on Zimmerman’s clothing, which goes against his erroneous claims that Martin had attacked him. 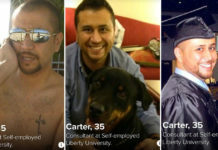 After questioning, Zimmerman was quickly released, and wasn’t charged for his crime until more than 6 weeks later, on Wednesday, April 11th 2012. As Trayvon Martin’s story gained popularity across the country, community activists and leaders hosted rallies all over the country, with demands that Zimmerman be brought to justice. Zimmerman’s arrest was delayed in part because of Florida’s controversial “Stand Your Ground” law, which gives people legal permission to use deadly force in the face of danger, without even having to attempt a retreat. Florida is among 21 states with such a law. 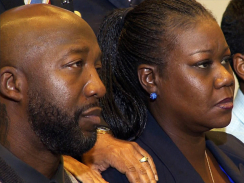 Though Zimmerman’s arrest is a step toward the justice that Trayvon Martin’s parents say they are seeking for their son, they say they won’t stop fighting until Zimmerman is convicted. 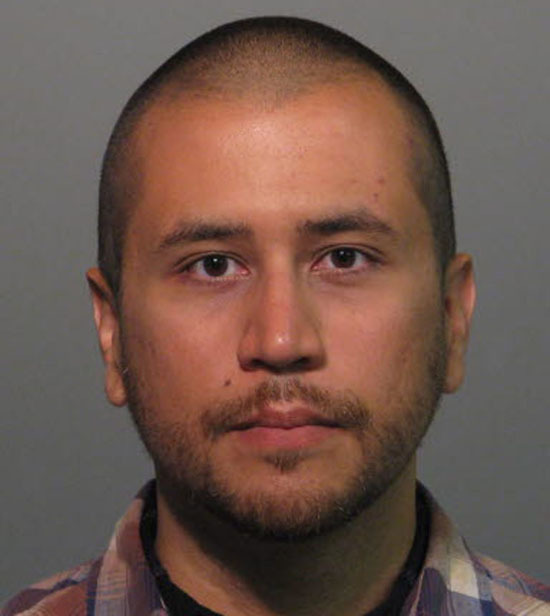 George Zimmerman was arrested and charged with second degree murder on Wednesday (Apr 11). He was booked at the Polk Correctional Facility in Sanford, Florida and is currently being held in protective custody without bail. 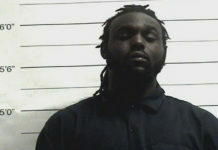 His first court appearance is scheduled for Thursday (Apr 12) in a secure courtroom inside the jail facility. 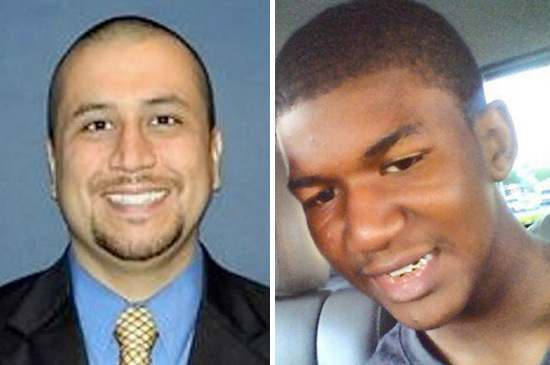 28-year-old George Zimmerman faces a life sentence if he is found guilty of shooting and killing Trayvon Martin.